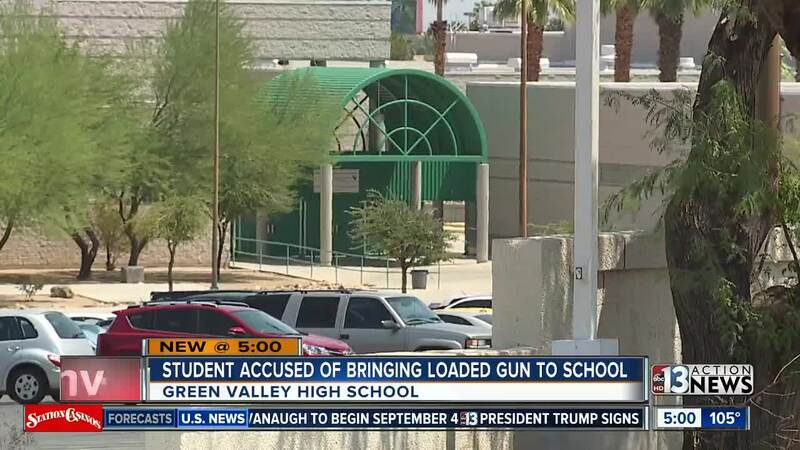 A 16-year-old boy was taken into custody Monday morning after allegedly bringing a handgun to Green Valley High School. He was taken into custody around 9 a.m., right after first period of the first day of school. Clark County School District police said staff at Green Valley noticed the student was acting out of sorts and made contact. A subsequent search of his property turned up a loaded 9mm gun. Police said they do not have any word or information regarding any targets or threats from the student at this time. The student has been charged with possession of a weapon on school property. School was not disrupted at Green Valley and there was no lockdown. "That's kid of freaky!" said one student. "I remember last year, there were a couple threats made to the school but they never followed through cause they caught the guy before but that's pretty freaky." 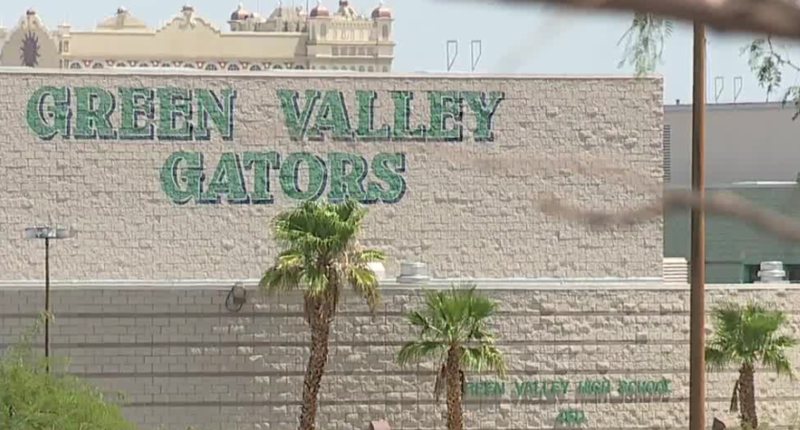 The Green Valley incident happened just a day after a student from another Henderson high school was arrested. A Foothill High School student was arrested Sunday for making terroristic threats. More than a dozen guns were taken from CCSD schools in the 2017-18 school year. CCSD police stressed vigilance after a rash of school threats and gun incidents last March.